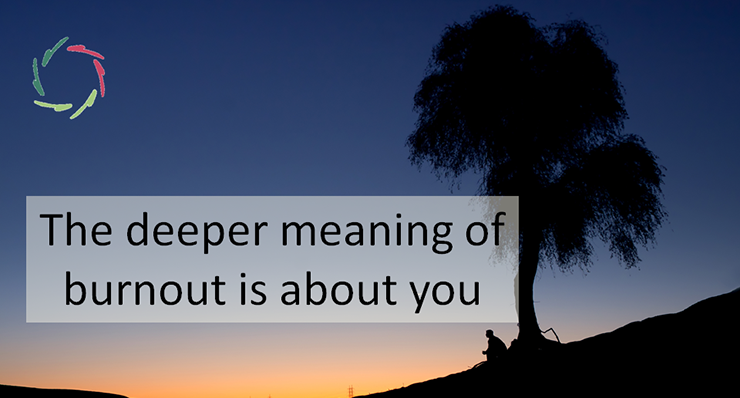 Deeper meaning is always present within you. 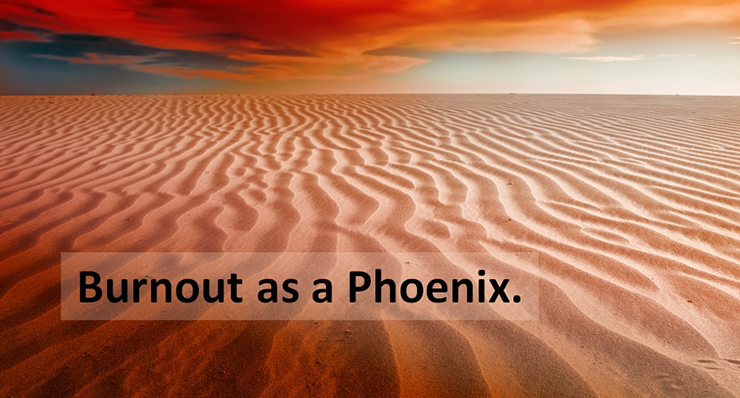 This is your true motivation, your ‘fuel’ that you need most of all when getting into a state of burnout. Let’s start with a comparison: water in a vase. The water takes the form of the vase, thus – confusingly – it may look like the vase but it is not the vase itself. Without water, the vase has no content. Without vase, the water flows away. Now in real life, the vase stands for any objective form. The water stands for deeper meaning. For instance, your car – or other belonging, or idea, or work, or any other action – is form. It has no meaning in itself. It is you who fills it with meaning. If you keep looking for water (deeper meaning) within the material of the vase (your work) itself, you won’t find it. It’s not there. In your quest, you may turn the vase upside down and the water, the real content, the real deeper meaning flows away without you noticing it. In the metaphor, things may seem clear. In real life, the confusion between forms and deeper meaning is easily and frequently made to a huge degree. Unless you are a Buddhist Zen monk sitting on top of some mountain, forms are quite useful to retain deep meaningfulness. Besides, even the Zen monk has his mountain views and his ideas about enlightenment. 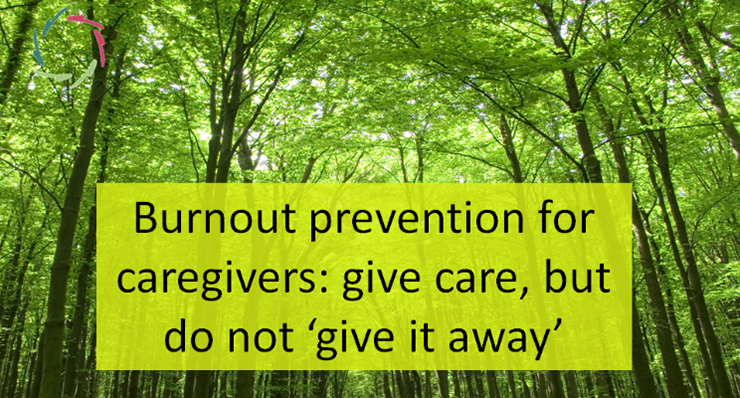 So if you feel some burnout, you don’t need to throw all forms away. What you need to do – and what we all need to do – is to be sensitive to where deeper meaning resides. It’s not in any form. It’s deep inside you. That is not the easiest part of yourself to connect with. Very important: there is no guilt involved in this, as there never is in anything related to depth. Western culture has the propensity to not make the correct difference between form and content, between objects and deeper meaning. One needs only to look at the world of advertising. ‘Happiness’ is sold as an object, while of course it is not. It’s actually the realization of deeper meaning. 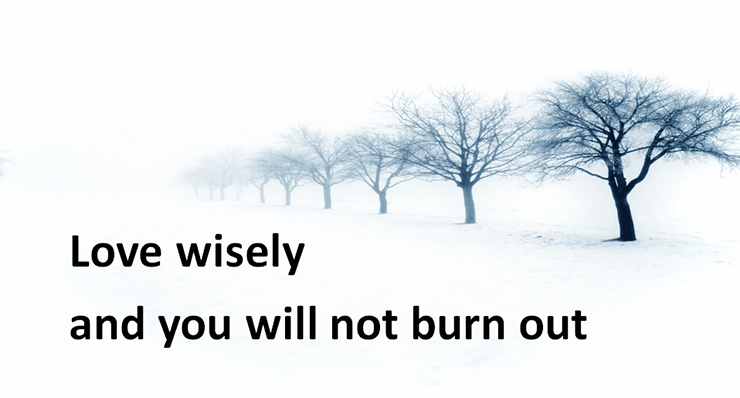 A person with burnout is not a happy person. The latter is more than a symptom of the former. Western culture provides the groundwork from which individual burnouts can pop up more readily. It’s not really the cause of burnout, but it makes people more prone to it. With ever more emphasis on quick material consummation, unfortunately, we may be heading towards a burnout future. The responsibility (no guilt!) is upon you yourself to take appropriate action through regularly making the deeper connection in your work, life and play.